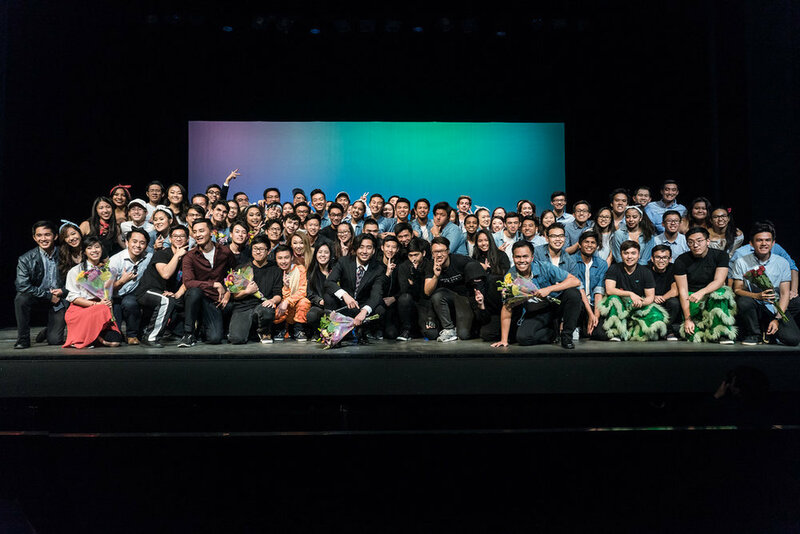 In a time where culture is slowly fading to obscurity around us, the Vietnamese Students Association of Cal Poly Pomona holds annual culture nights to curb this unfortunate occurrence. The Vietnamese Culture Night is a one time show which encompasses acting, choir, Vietnamese traditional dance, modern dance, and shadow arts. Members are encouraged to join any committee they wish and is not restricted to just one. But no matter the number of committees members decide to join, this production requires a sizable time commitment. Participants of the show practice and rehearse every year for more than three months for a one shot opportunity to educate as well as spread the importance of Vietnamese Culture to our communities. Kim, a Vietnamese American girl realizes how hard life can be living with her parents. She believes that they favor her older brother (Danh) more than her. To spite her parents and use for her own benefits, she starts dating Derek, a rich handsome American guy who has no respect for her family and their traditions. When her high school crush (Huy) comes back into her life and sparks a flame, she feels more confused than ever. Now she has to choose between someone who lives and can provide the lifestyle she dreamed but isn't approved by her family, or someone who her parents love but continues to live the lifestyle she had always wanted to leave behind. Kim has to decide which path she wants to take, and think of the sacrifices that will come along. The bulk of our Vietnamese Culture Night is a theatrical play. Meaning that the duration of the show mostly comprises of driven actors and actresses who rehearsed tirelessly to entertain as well as educate the audience. The acting coordinator's main focus is to make sure that the participants of the acting committee are able to bring out genuine emotions which were already inside of them. Once released, there is no such thing as bad acting. With that being said, acting experience is not required and absolutely anyone is encouraged to join. Choir is a necessary addition to our Culture Night. The hard work of our members are displayed through their voices. Choir sings the Vietnamese National Anthem as well as United States National Anthem. Along with those, they also perform their own sets and medleys to compliment the feel of the play. Shadow arts is the best window of opportunity to bring out your inner ninja! Your job as shadow arts is to assist in the movement of props during the play while being unseen in the shadows for our Vietnamese Culture Night. You'll also be helping out creating the props (or even being the props). You can be an extra in the play through Shadow Arts if you want too. We'll be sure to train you in elite ninja maneuvers such as the tree stance, fetus position, and barrel rolls. Lion dance is another form of a traditional dance in our Vietnamese Culture Night. These lions represent good fortune and luck. This committee has members who perform stunts in duos, or plays the instruments for the Lions. Traditional dance is an expression of Vietnamese culture in the form of multiple dance styles during the Vietnamese Culture Night. Traditional dance emphasizes on the older customs of Vietnam that pertained to the 1960's-1970's. Fashion Show showcases one of the most exquisite Vietnamese cultural clothing piece known as the ao dai. Fashion show committee is open to both males and females who want to show off the beautiful and vibrant ao dais on stage. The team was created to bring passionate individuals together to learn how to dance, and improve on skills as dancers. As the first performance of the year, VDC shows the hard work involved in creating a performance set. As the years have gone by the team has grown tremendously since it was first introduced, with many older members returning and many new members coming in, bringing a fresh "flavor" to the mix of talented dancers on the team. But this is more than just a team, it is one big giant loving family that always support each other no matter what happens.